Layers is a unique page/site builder & theme framework for WordPress. Style Kits are a set of settings, CSS, and demo content that make up a preset layout or “skin” that can be used with the Layers theme framework. Please refer to the following guidelines before submitting Layers Style Kit items to ThemeForest. INDENT – With a clean and minimal style, Indent suits most creative fields. Easy to use, easy to customize, built for Layers. Xtreme is a 100% Responsive Stylekit for LayersWP WordPress Site Builder. 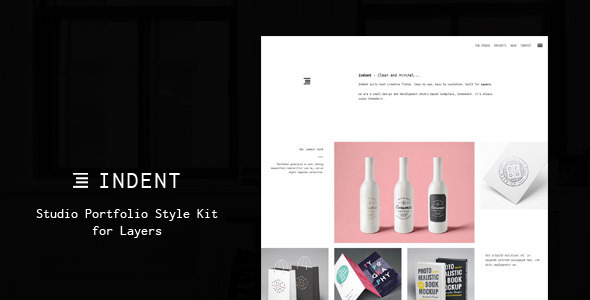 This stylekit can be used for corporate business and start-up companies. It has the latest flat design + modern clean look that will boost your business. Freeman is a clean, minimalist and well crafted Style Kit for Layers. which means that can be used with any site built with the Layers plugin for WordPress. The Great Wedding is a Responsive Wedding Styles kit for the Layers Framework that built using HTML5/CSS3 features and is suitable for wedding event with RSVP Form. Agencia is a modern, flat and well crafted Style Kit for Layers. which means that can be used with any site built with the Layers plugin for WordPress. InspaKit is a Responsive Multi-Purpose Styles kit for the Layers Framework. It is suitable for Agencies, Creative companies, Creative bloggers and freelancers who need to showcase their projects, services, and sell their products. Dinasu – Creative minimalistic Layers KIT. The KIT is powered by Layers Builder and can be a base for cosy hostels, private appartaments, hostels and so on. Easy color and image selection with many design settings can help you transform your website into a business selling tool. Impeccable is a Responsive Style Kit for Layers Word Press Site Builder. Impeccable is a creative, clean and professional multi pages layers style kit. Compass is a Responsive Stylekit for Layers WordPress Site Builder. This stylekit can be used for corporate business. Ubiquity is a Responsive Business Styles kit for the LayersWP that’s built using HTML5/CSS3 features and suitable for creative companies, agencies for a professional way to showcase their projects.